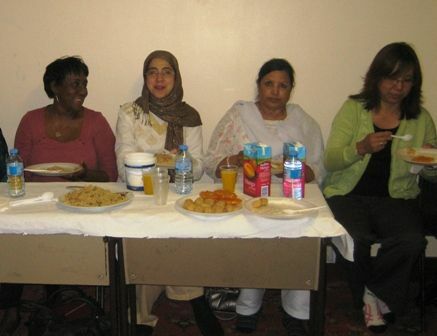 Three hospitality month events have taken place by the end of May, hosted by the Caribbean Hindu Cultural Society, First Step South and Christ Church Streatham. Still to come - early in June - events hosted in Tulse Hill by FAST London and in Clapham jointly by Clapham Methodist Church, London Shambhala Meditation Centre and Ahl-ul-Bayt Islamic Centre. 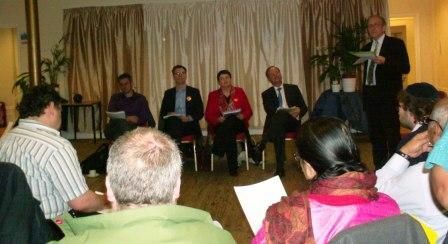 FTiL organised hustings on 17th April with the Conservative, Green, Labour and Liberal Democrat candidates for the London Assembly (to represent the Lambeth and Southwark constituency). About 30 people attended and the candidates answered 12 questions that had been submitted in advance and a few more from the meeting. When FTiL's management committee reviewed the event there was praise for the harmonious approach that the four candidates adopted, even though there were clearly important policy differences among them. One of the benefits from the meeting was a chance to clarify the voting system in London elections which have only existed in their present form since 2000 and are not yet familiar to many people. The importance of taking the trouble to vote is all the greater because the 25 places on the London Assemply are determined on a proportional basis. So any vote that you fail to cast is not only a loss to the party you would like to support but also increases the proportion of the total vote gained by other parties. This increases the risk of small parties with extreme policies gaining 5% of the total and thus getting one of the 25 seats. The elections take place this Thursday, 3rd May. Faiths Together in Lambeth is repeating an initiative that had some useful results last year. Grants of up to £100 are being offered to a small number of FTiL Member or Associate Organisations in order to enable them to hold a hospitality event (breakfast, lunch, tea, dinner, ... ) that has a multi-faith participation. Qualifying hospitality events must take place in the month of May 2012 or soon afterwards (so could include the Jubilee Weekend for example). The FTiL Management Committee will want to be convinced that events receiving grants will bring together people of different faiths (preferably 3 or more faiths). FTiL will need to receive a request by e-mail before an event can be considered for a grant. Grants will be awarded to qualifying events on a first come first served basis. We look forward to receiving applications for these grants. 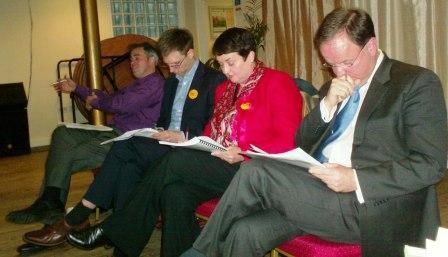 New Member Organisations will have as much chance as established ones. You can apply for membership from this website. Only a week and a bit now before our Hustings for invited candidates (from the four parties that had the biggest numbers of votes in 2008) who are standing for Lambeth and Southwark constituency in this year's elections to the London Assembly. On Tuesday 17th April we shall be at the Karibu Education Centre in Gresham Road - refreshments from 5.30pm for a prompt start at 6pm. FTiL is very grateful to committee member Julie Tedeschi for signing up the four candidates. The Hustings are an opportunity for any of you members of the voting public to come and hear a little of what these candidates have to say and ask them whatever questions you wish. You are invited to send questions in advance to FTiL but there will also be opportunities on the night. Questions could include issues about the Mayoral candidates from these same four parties. Don't forget - the elections take place on Thursday 3rd May. Yvonne Okiyo is Lambeth Council's Co-ordinator of activity to combat hate crime, of which faith hate crime is one category. Yvonne visited the FTiL Managgement Committee on 6th December to enlist our help in raising awareness of this issue. It is believed that hate crimes are under-reported because people are nervous of the consequences of reporting. Third party reporting arrangements are an attempt to make reporting more accesible, and even to report where and when something happened, without giving any personal details, might provide useful intelligence. There is a message from Yvonne about hate crime volunteers in the Advice and Information section of this website. Yvonne's contact details are there too, and I know she would be happy to help if she can with any enquiries you might want to make. Good news today - the website has gone live! It took us a long time, but I think we are going to be very pleased with the result. There are some further features that are built into the design (by Ripplenet Web Design) including a Forum and Webspace for FTiL Member Organisations. These will go live during 2012. We are coming to the end of the 3rd National Inter Faith Week, initiated and facilitated by the Inter Faith Network for the UK with some support from the Department of Communities and Local Government. The impact this year seems to have increased with some quite good coverage in the national media - see for example The Times of Saturday 19th November. The FTiL event took place on Monday 21st and was a collaboration with Lambeth Safeguarding Children Board. More than 50 members of Lambeth's faith communities attended at the Karibu Centre. 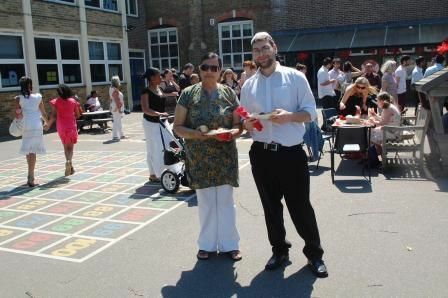 Other events in Lambeth during the week included Baroness Neuberger's book launch at South London Liberal Synagogue, a Lambeth Council Staff Faith Forum lunchtime event and South London Inter Faith Group's monthly Thursday lunch meeting.